Our Friends at The Hungry JPEG have done it again! Only available for the month of May, they are offering an enormous font-bundle of 46 premium fonts! The Fontastic Font Bundle is just $29. That works out to only 0.63 cents per font! You also get a 10% discount if you tweet the bundle out from their site. All fonts included can be used for both personal and commercial use, and can be installed and used on any program. We decided to showcase a few of our favorites, and get your creative genius flowing! 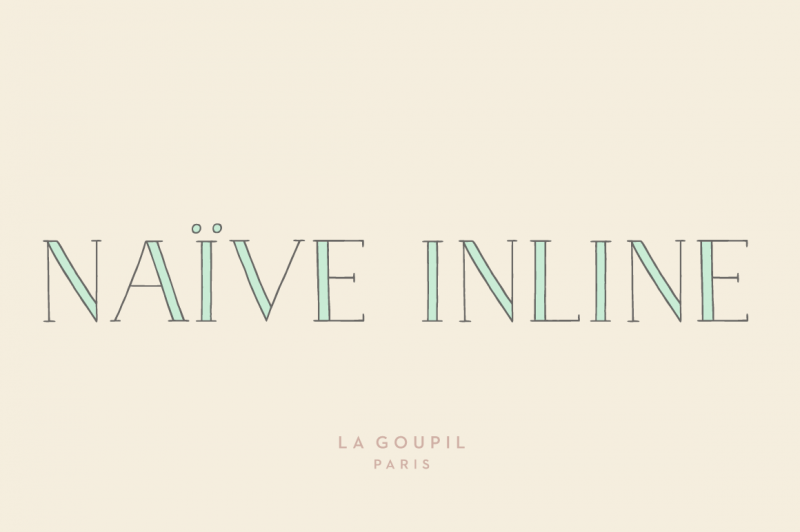 Naive Inline is a serif handwritten font by La Goupil Paris. It comes in three weights, light, regular and bold. In addition, each font can be enhanced with four different font fill options. This brilliant approach to typography, creates a range of style and effects with only one font! 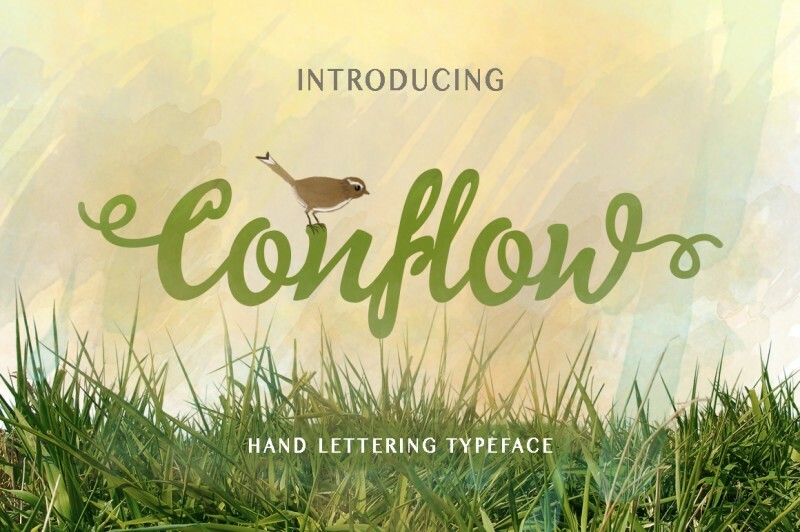 Conflow is a beautiful hand lettered font. It is available for both personal and commercial use. Included are over 350 hand lettered characters to support a range of languages. You’ll need software that supports open type faces, such as Adobe Illustrator etc. Here is a unique and rugged font, that would be a great deal just on its own. 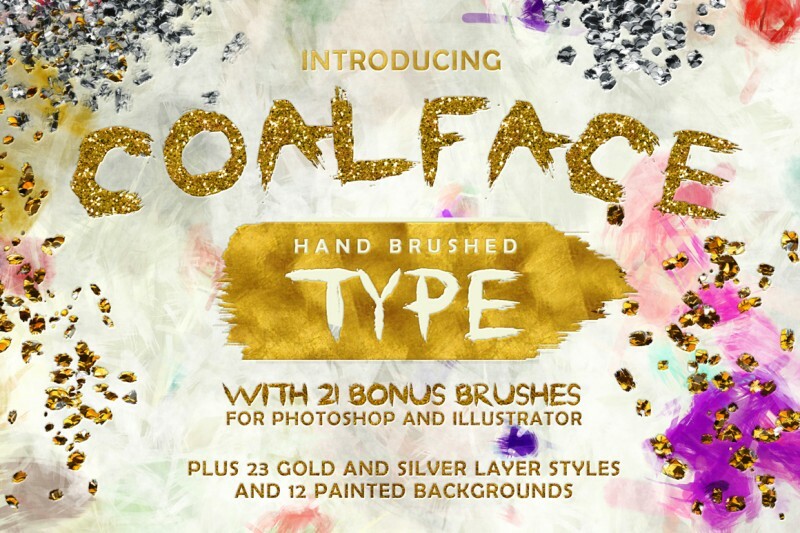 But you get so much more with Coalface! 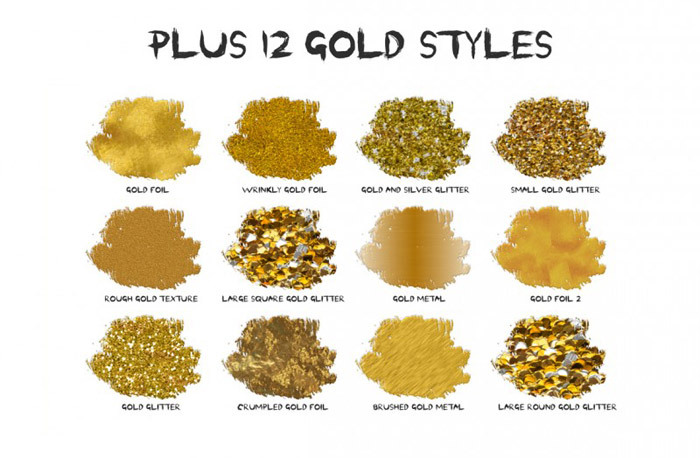 This font also comes with 21 brushes, plus 12 gold styles, 11 silver styles, as well as 12 painted backgrounds. 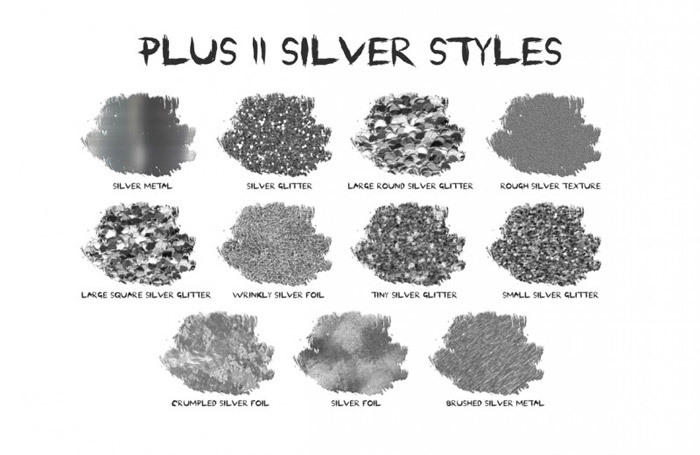 You’ll need Photoshop or similar program for the brushes. 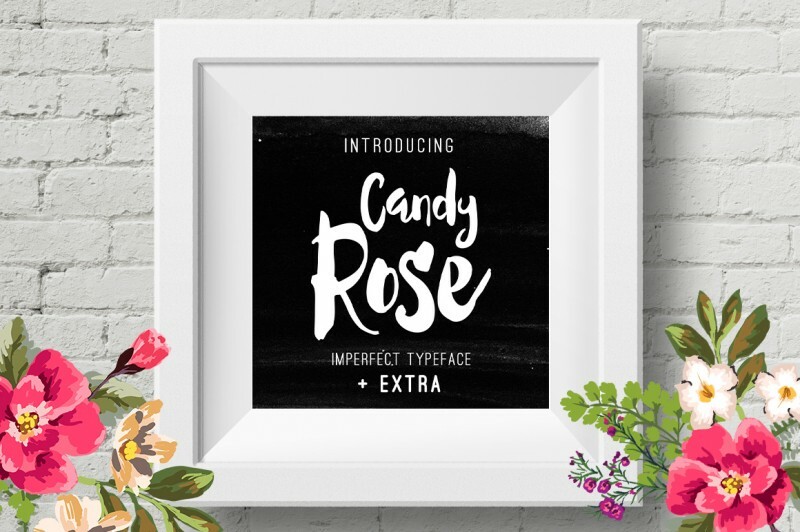 Candy Rose is a beautiful, distinctive and modern script. Imperfect styling combined with and easy flow, gives the font a natural look. 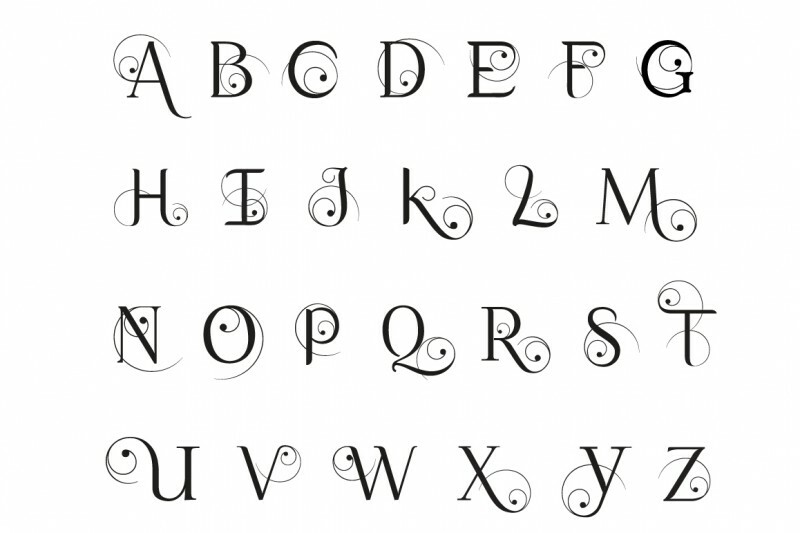 This font includes a set of PNG vectors, so you’ll need Adobe Illustrator or In Design. Often, script fonts are over-stylized and hard to read. Queen Caps is the definitive exception. 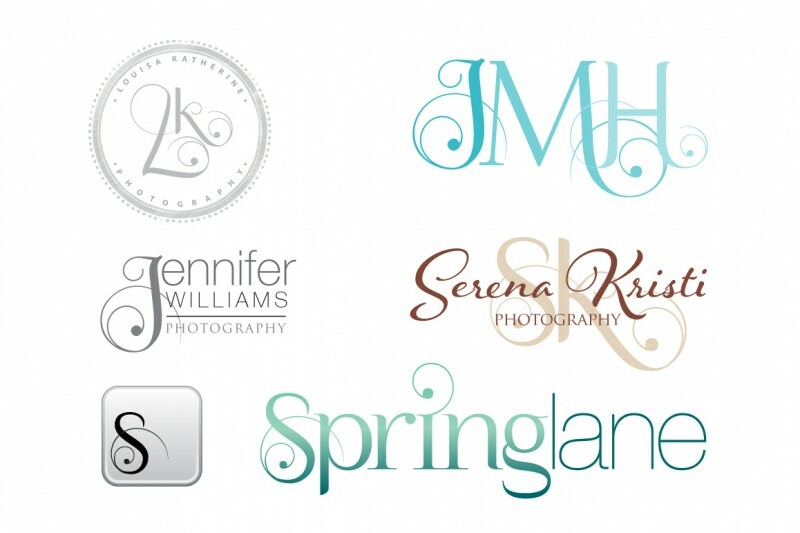 It is a clean and legible script font that would work well for monograms, logos and drop caps. By far, it is our favorite script font we have seen in a long time. OK , so you like the bundle and want it! Who wouldn’t? This is a massive font set to add to any graphic designer’s tool-box. At $29 it’s a steal! Be sure to check out the Fontastic Font Bundle, and let us know what you think!